New Delhi, May 10 (PTI): Russia and India today agreed to take forward collaborative projects in a range of sectors, including nuclear energy and joint projects in third countries, as the two sides prepared for a Summit between Prime Minister Narendra Modi and President Vladimir Putin on June one. They took stock of implementation of various key bilateral initiatives in economic field at a meeting of the India-Russia Inter-Governmental Commission on Trade, Economic and Cultural Cooperation (IRIGC-TEC), a key forum to address major issues concerning bilateral ties. 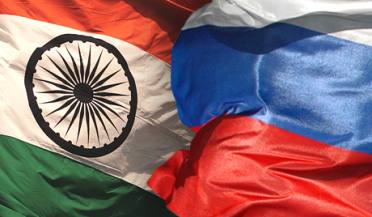 During the meeting, co-chaired by External Affairs Minister Sushma Swaraj and Russian Deputy Prime Minister Dmitry Rogozin, there was convergence of views and interests on a wide array of issues, the external affairs ministry said. At a joint press event with Rogozin, Swaraj described the talks as "fruitful" and said there was a unanimity in strengthening strategic partnership between the two countries. The two leaders reviewed the progress made on various bilateral issues since their last meeting on September 13, 2016 as well as the preparations for the forthcoming India- Russia Annual Summit to be held in St Petersburg on June one, the MEA said. The two leaders agreed to closely work in the weeks and months ahead to take forward collaborative projects in several areas, including nuclear energy, joint projects in third countries, development of critical technologies for human spaceflight programme, renewable energy and energy efficient technologies. Other areas include trade in seafood, agro and dairy products, cooperation at sub-national level including states, regions, cities, participation in each other's premier trade events, fostering further stronger academic and research linkages and joint Indo-Russia collaborative research centres (CRCs) in universities and mutual recognition of degrees. Besides further strengthening 'energy bridge' between the two countries, they agreed to enhance cooperation in disaster relief, telemedicine, cultural exchanges, joint film production, facilitation of visa systems and procedures. They also agreed to move forward on operationalisation of a "green corridor" to facilitate quicker clearance of consignments of agreed list of exporters facilitated by the respective customs and administrations based on exchange of consignment data on real-time basis apart from early launch of FTA talks between India and Eurasian Economic Union. Establishment of Navic-Glonass ground stations to enhance resolution of the images from constellation of satellites and application of Navic-Glonass navigation signals for traffic management were also the focus areas for collaboration. Mutual investments in such sectors as diamond mining and processing, IT and IT-enabled services, agriculture and food processing, metallurgy, infrastructure, and automobiles; development of inland waterways in India. A project for upgradation of high-speed infrastructure on the Nagpur Secunderabad railway segment, collaboration in manufacturing and technology transfer for construction of pipelines for gas transportation and collaboration between Russian manufacturing and Indian ICT (Information and Communication Technology) were also discussed. Noting that the meeting was held as the two countries are celebrating 70 years of diplomatic relations, the ministry said Swaraj and Rogozin expressed satisfaction over the implementation of a roadmap of events adopted in October 2016 during the Bilateral Summit Goa.